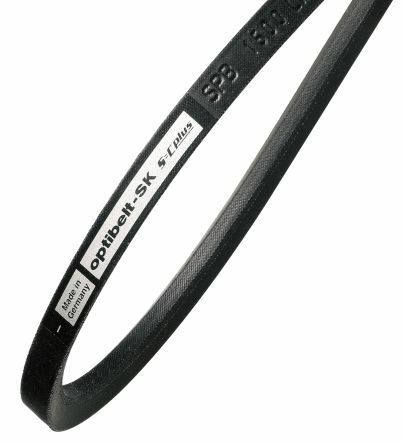 We offer an extensive range of power transmission belts for any automation or industrial requirement. 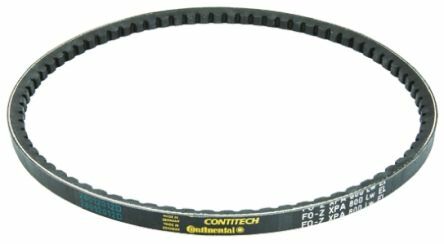 Find polyurethane belts, twist link, and timing belts as well as wedge and vee friction belts from top brands like Contitech. You can also browse a wide selection of RS Pro branded belts at competitive prices. What are Power Transmission Belts? Power transmission belts help to drive the transmission by the transfer of power to different parts in the system. This system normally consists of a belt and at least two pulleys to transmit the motion needed, commonly used in the automotive industry. V-belts - have tapered sides and a flat bottom with a trapezoidal cross section. They work by using the friction between the belt and the pulley to transfer power and have a higher power transmission capacity than flat belts. V-belts are popular due to ease of installation, low cost and are available in a wide range of sizes. Synchronous belts - also known as timing belts, have a toothed profile and can be used as an alternative to chains and gears. They overcome belt slippage with teeth that engage with corresponding grooves in the pulley or sprocket boosting drive efficiency above a V-belt. Theyre used in high-powered transmission applications, such as water pumps, fuel injection pumps and camshafts. They are thin and flexible making them ideal for use where high speed or small pulleys are required. They are less noisy than chain drives and energy efficient through the life of the belt. Flat belts - have a rectangular cross section that provides a greater level of consistent friction between belts and pulleys. They have low creep and are efficient due to their low bending losses and energy saving properties and are used in all areas industrial areas using power transmission for their versatility. Power Transmission belts are used in a wide range of industrial applications and its important to know the application for which they are intended and to choose the right belt for the job. Choosing the wrong belt can lead to damage of equipment or safety issues. 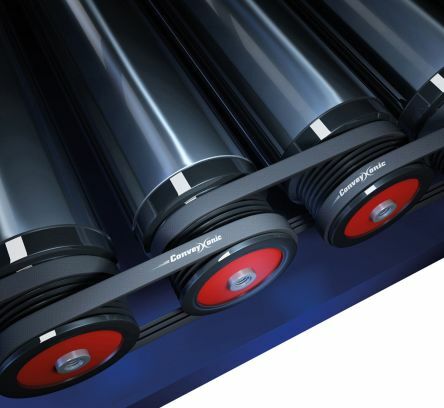 Providing you have the proper installation and maintenance in place, selecting the correct belt will ensure a long belt life and trouble-free service. Heavy duty raw edge moulded cog wedge beltsModerately oil resistantResistant to temperatures -30°C to +80°CElectrically conductive (antistatic) to ISO 1813Designed for long belt life.